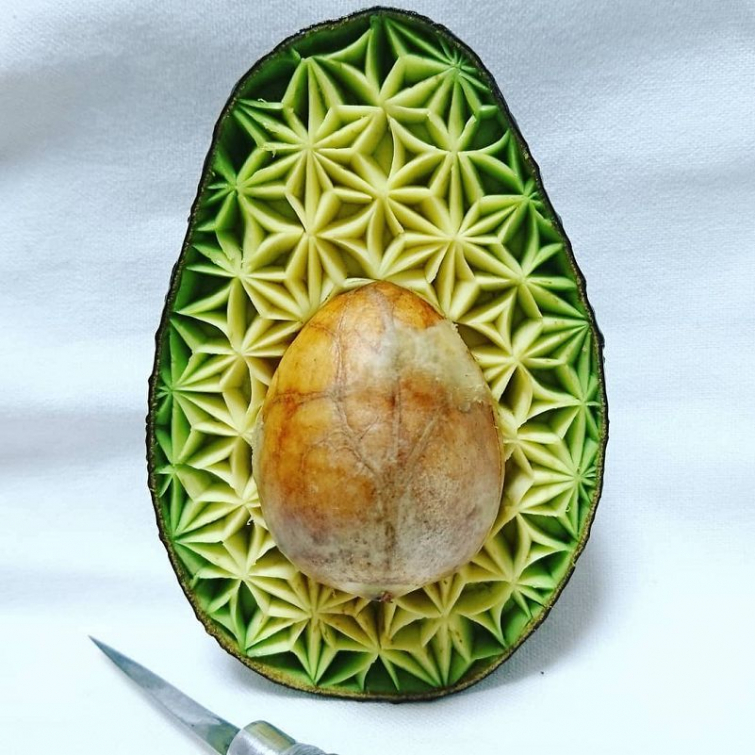 The Japanese chef Takehiro Kishimoto from Kobe recently started creating edible artwork using fruit and vegetables. Apples, bananas or avocados, it doesn't matter for Takehiro. The chef, who is specialised in the gourmet cuisine, uses a little knife to carve the most beautiful flowers and figures into his food supply. A beautiful photo series which will definitely get you hungry.